Hello everyone. This is my first trip report. I hope you enjoy it. 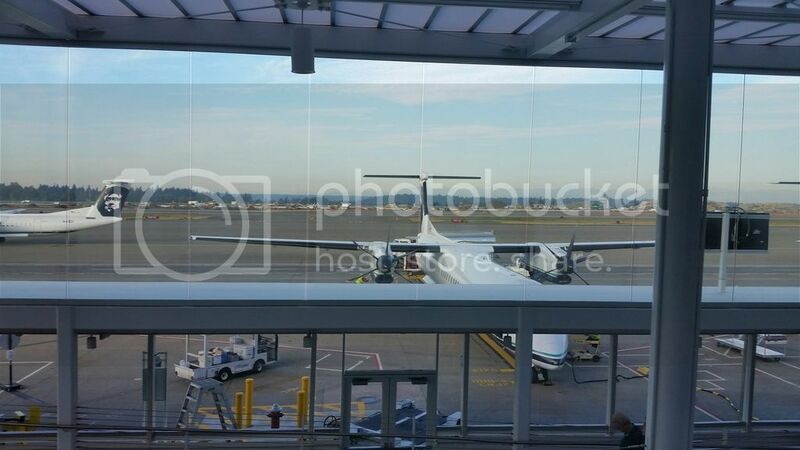 We live near Seattle so we fly out of Sea-Tac Airport. This trip was me, my husband, and my mother and stepfather too. For several years now, Alaska Airlines has only flown its Bombardier Q400 planes direct from Seattle to Reno via its sister airline, Horizon Air (it used to fly larger jets to Reno). I am somewhat of a nervous flyer and have a hard enough time on the larger jets let alone something that only holds about 80 people! When Alaska Airlines first announced several years ago that the Q400s would be flying the route I thought I had figured a way around it. 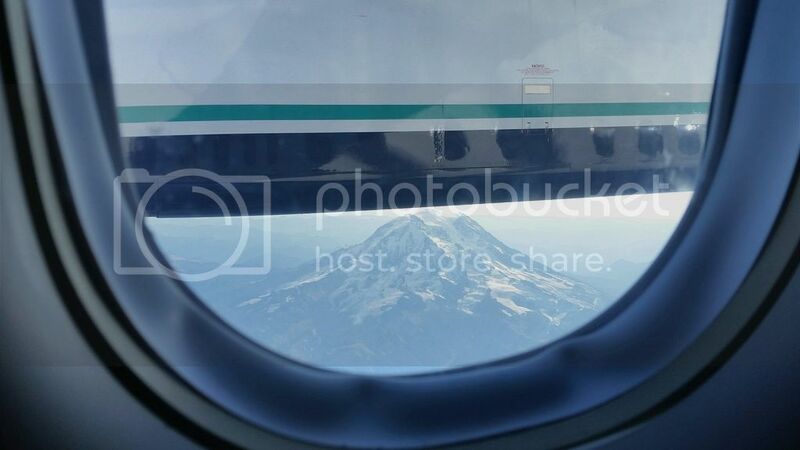 I’ll show you Alaska Airlines! I will start flying Southwest Airlines instead, so there! Problem solved! Well, that worked for about 5 years until Southwest then announced it would no longer fly direct from Seattle to Reno. 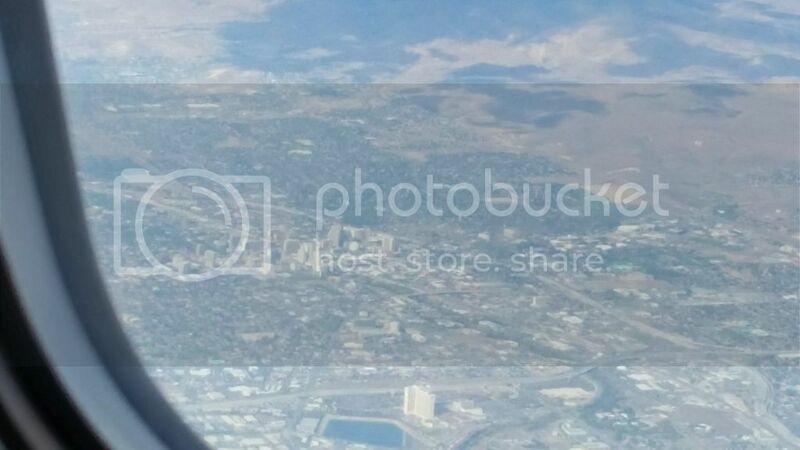 We now won’t fly Southwest Airlines to Reno and be forced to have a layover in Las Vegas first and spend 5 to 7 hours getting to Reno when it is only a 2 hour or less direct flight (especially when our Reno trips are usually only for 3 days max). So, last year for the first time I had to fly on the Q400 and will have to continue to do so. Oh, the things I go through to get to Reno! Our flight left Seattle at 10:00 Friday morning. Hello Mount Rainier! We survived the flight, and 1 hour and 40 minutes later we touched down in Reno and took the complimentary shuttle to Silver Legacy. It was nice getting to SL and checking in early. 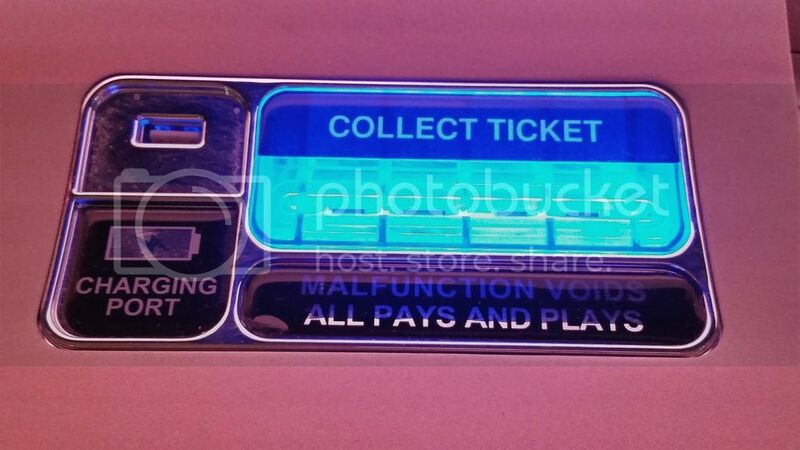 For Premier level and higher card holders you can check in at the VIP room off of the lobby. This was our first time checking in there instead of at the main lobby desk as I wasn’t even aware of that perk until the woman on the phone who made our room reservation mentioned it to me. So glad we could take advantage of that as there were about 200 people in the lobby when we arrived! Yikes! Two conventions going on at SL that weekend added a lot of extra people. We had a “superior” room category which basically means a room somewhere between floors 26 – 38 (their highest floors). 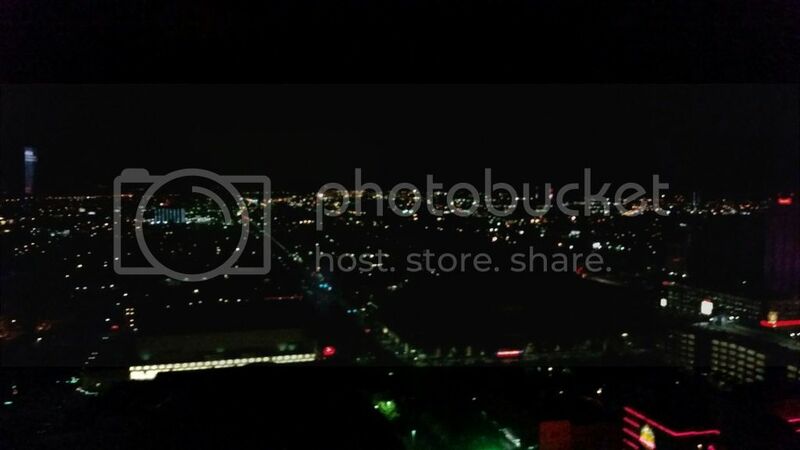 We were on the 30th floor with an east facing view. 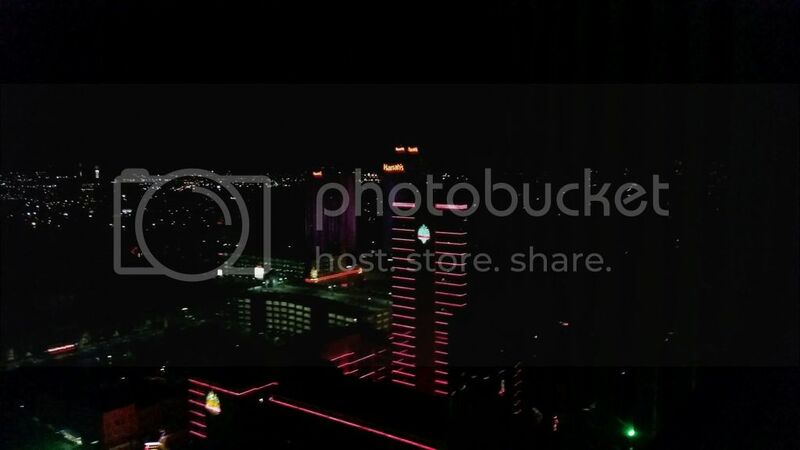 I always request east facing as I enjoy looking at the lights of Eldorado and the lights off in the distance after dark on those rare occasions when I’m in the room. Ha! Each of us couples had two comped nights and our third night was at a reduced rate. After check in and dropping off our luggage in the room, it was time for what I call “my moment of anticipation in Reno.” My moment of anticipation in Reno is when I first go down the main escalator to the casino in SL and see all the slot machines, the lights, hear the music, the sounds of the machines, etc. 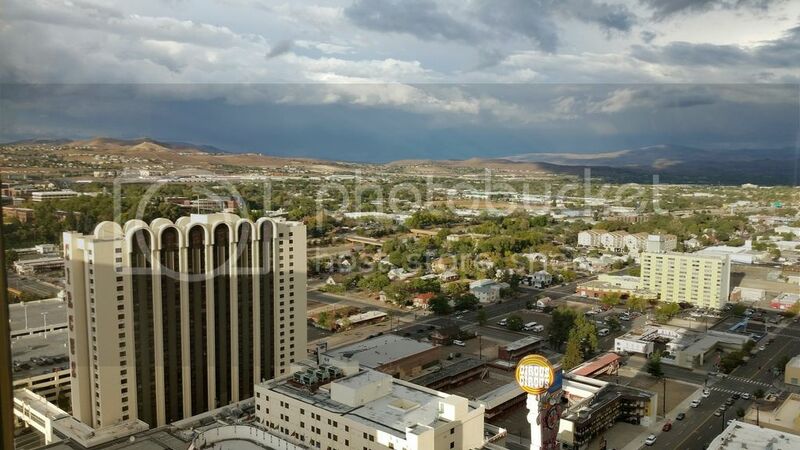 and know I have just entered my 72 hours of Reno bliss! 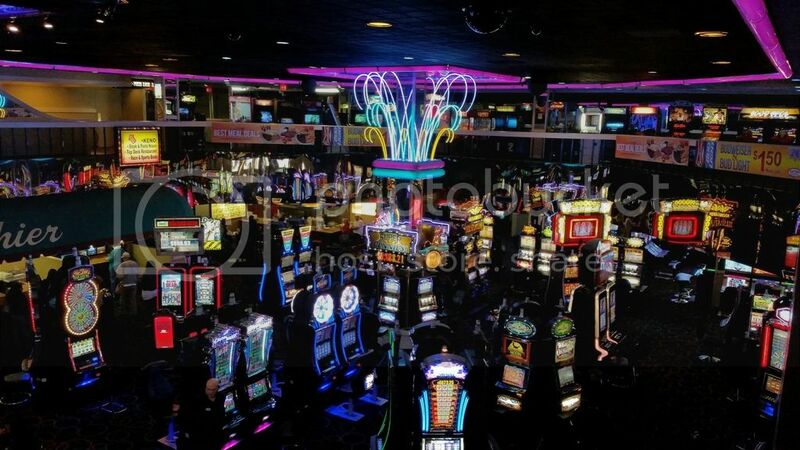 During those 72 hours I don’t care what day it is, what time it is, don’t care when I eat or sleep, I don’t think about work, I just want to “do my thing” in Reno which mostly consists of playing slot machines, drinking free wine, and watching football in the sports bar. 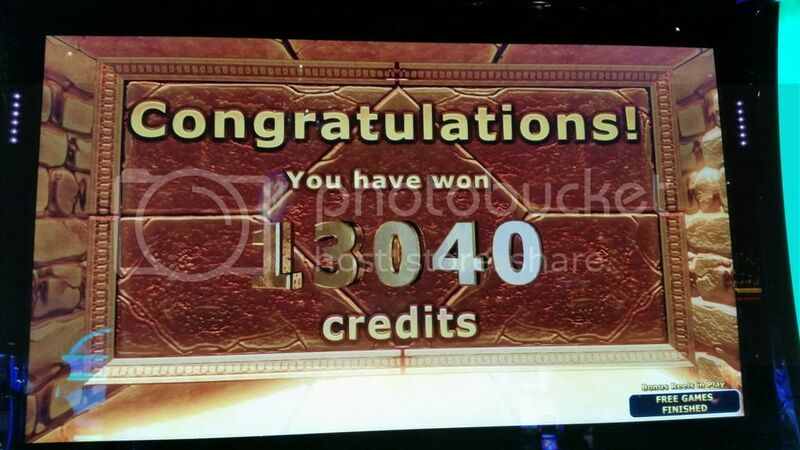 I did very poorly on the slots on Friday. I couldn’t hit anything. The machines seemed to be much tighter than when I visited last year. After playing slots for awhile, I then went to the Silver Baron Lounge alone just to sit and relax. I love sitting in there facing the main escalators to people watch, listen to music, enjoy all the lights and sounds. It’s my “just chill” place in Reno. It rained on Saturday so we did not do the river walk. 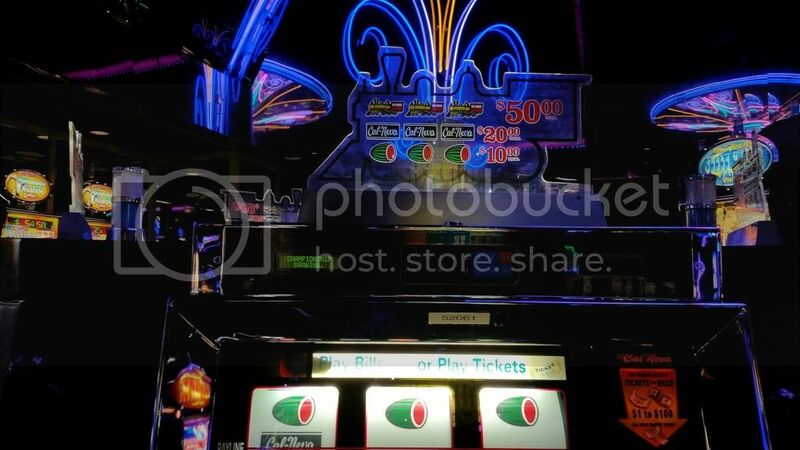 Instead, we played more slots at Circus Circus, Harrah’s, and Cal Neva. I was sad to see that they had removed the round house of dollars at Cal Neva since my last visit. 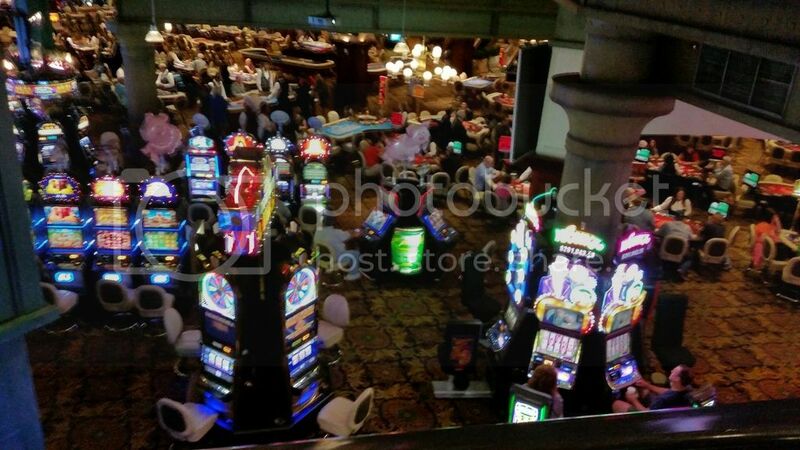 The old style machines that used to be in the round house are still on the casino floor though so it was fun playing some of those oldies but goodies. 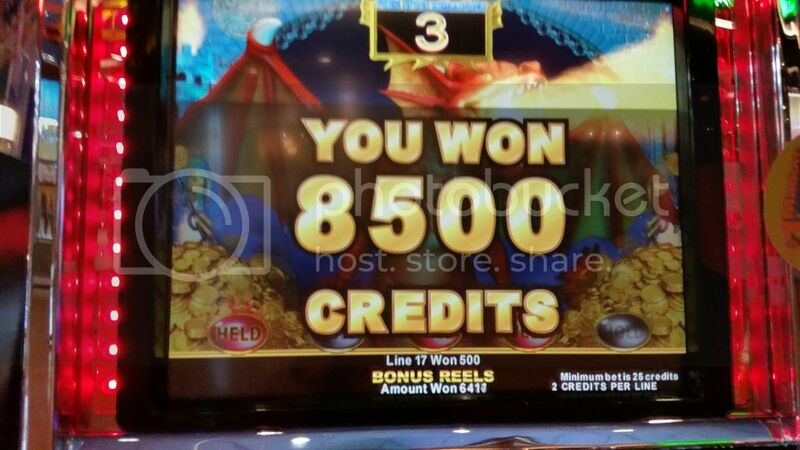 I did better on the slots on Saturday evening at SL but didn’t hit anything big. Just little hits here and there. 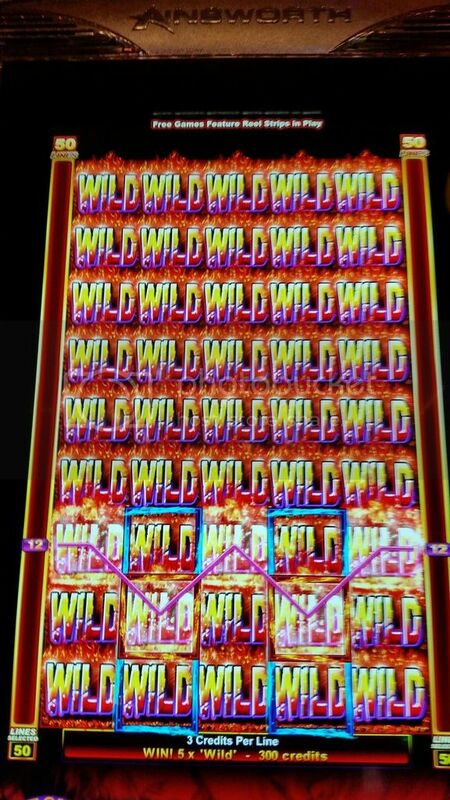 When this screen came up with all wilds I thought for sure I had hit something big but even at max bet it turned out to be only $150.00. Ugh! And the machine had a voice that would say “sweet zone” every time a certain number of wilds came up. Well, the machine’s definition and my definition of sweet zone are not the same! Sunday morning we had breakfast at Café Central in SL. 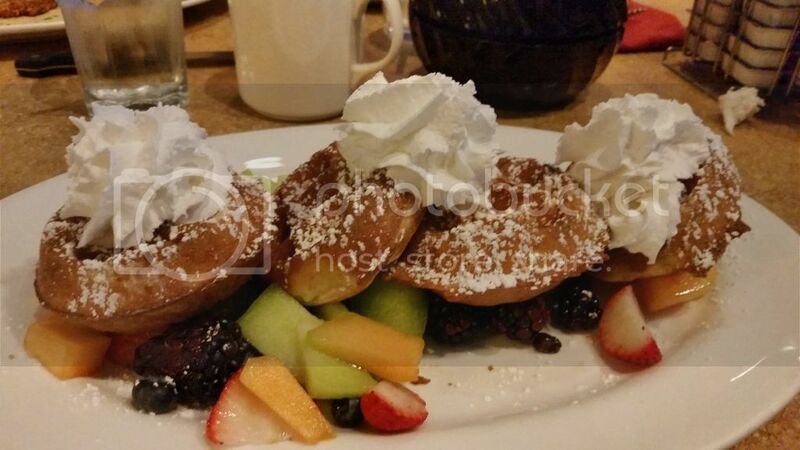 I had the Waffle Ambrosia which was so delicious! After breakfast we headed down to the SL sports bar and spent the next several hours watching football starting at 10:00 a.m. Aaaaahhhhh, nothing but football for several hours! Bring on the mimosas! I love watching all the games simultaneously and enjoy the friendly banter with others from different cities who are all wearing the football gear of their favorite team. During halftime of the Seahawks game I went across the casino floor to the new Triple Play Sports Grill to get lunch “to go” and bring it back to the sports bar. This place just opened a few months ago and replaced the old Fresh Express. Let me just say, the Grill is a nice upgrade over Fresh Express. Better menu selection, more seating, and also better hours of operation. Fresh Express always seemed to be closed more than it was open. The Grill is open 7 days a week. 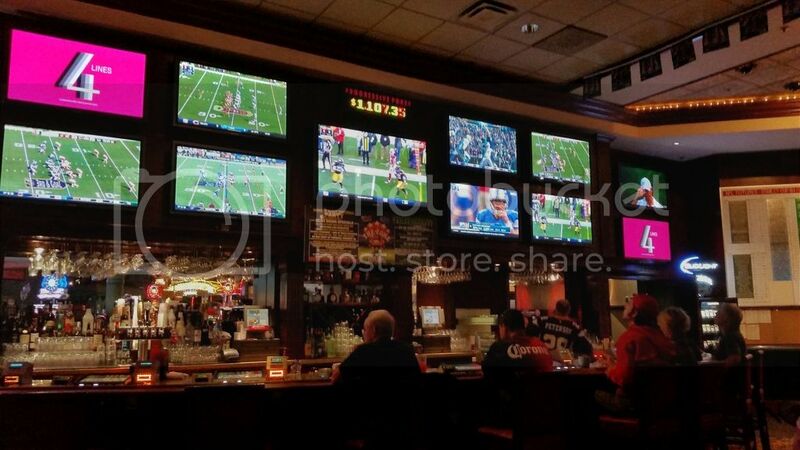 It also has some large flat-screen TVs so you can check the scores of your favorite teams while waiting for your food. After several hours of watching football and watching my Seahawks blow yet another 4th quarter lead and lose to the Carolina Panthers, sadness was starting to set in as I knew this was my last night in Reno. 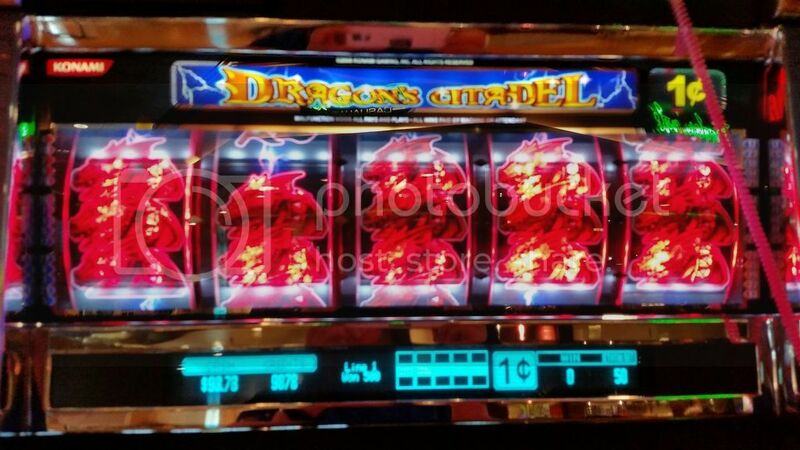 That can only mean it’s time to play more slots! Again, hit some smaller pots but nothing big. 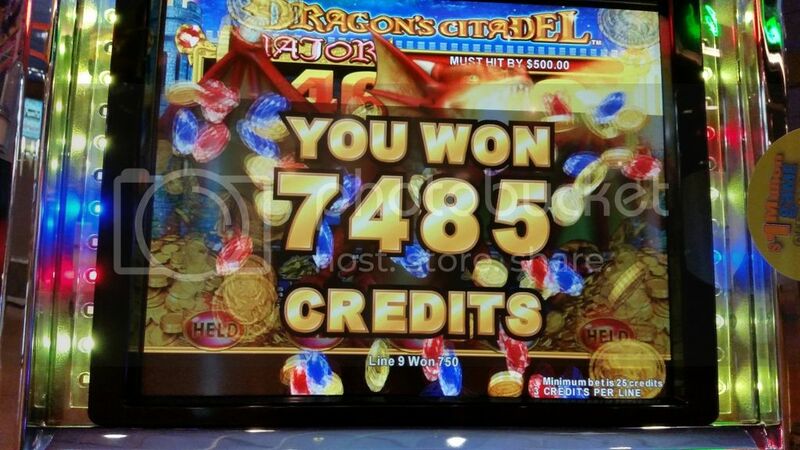 I did worse on the slots this trip than on any of my other trips to Reno over the last 20 years. Hope this was an isolated event but I have a feeling it wasn’t. Things really seemed to be tightened up. 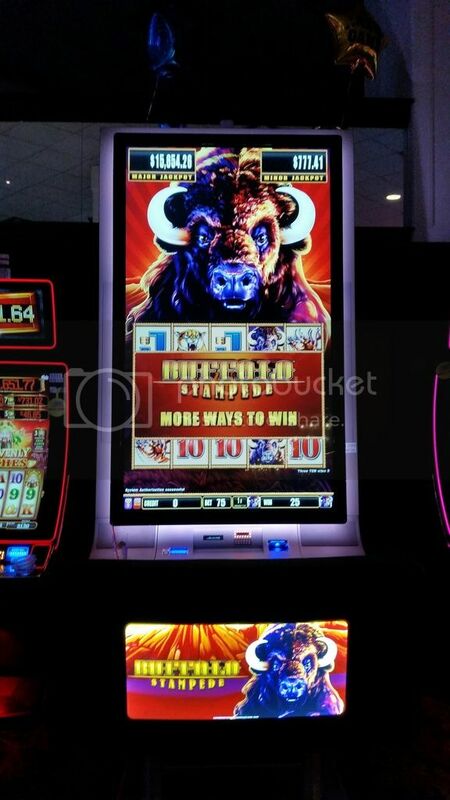 I had to get a picture of this as I had not seen this on a slot machine before but it was on this giant screen Buffalo machine, a cell phone charging port! What will they think of next? 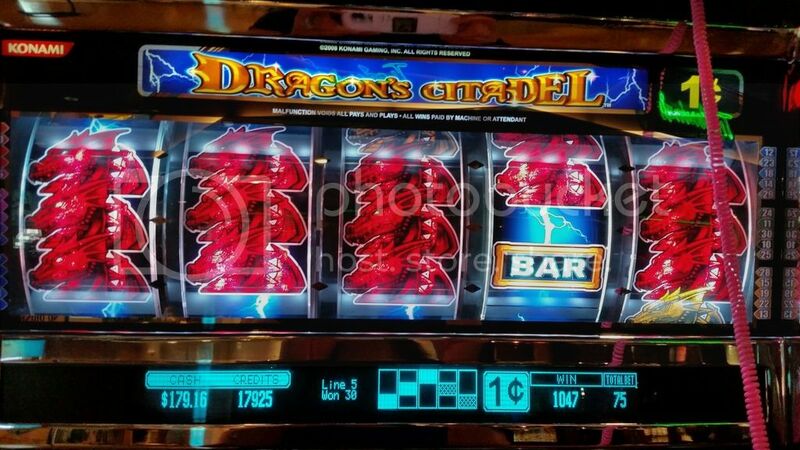 No need to go back to your room to charge your phone, just charge it right here while playing the slot machine! Ha! After who knows how many mimosas and glasses of wine consumed on Sunday, it was then time to consume a lot of carbs and starch to soak up those drinks! Late Sunday night I parked it in front of my room window for about an hour and just enjoyed the quiet and the view on my last night. We were on the 9:00 morning shuttle to get to the airport for our 11:00 flight back to Seattle. We survived another Q400 flight and are all safely back home and back to reality. The flights were very smooth and I’m actually getting more comfortable on those smaller planes after two consecutive years of flying on them. Well, I did contribute enough money to keep the lights on at SL for the time being. But overall, a very nice time, as always! I have so much fun in Reno regardless of gambling winning or losing. Such an enjoyable, low key atmosphere, and a great temporary escape from the daily grind. 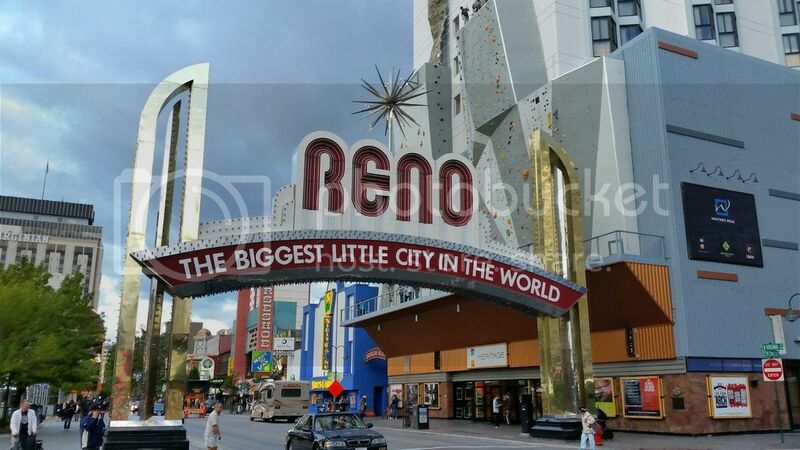 Next year I will get to go to Reno twice. Yay! Another flying trip in probably April, and then another trip in September to arrive in time for the balloon festival (I have always wanted to experience that). The September trip will be a 2 week journey and will also include visits to Lassen Volcanic National Park and Lake Tahoe. Until next year, Reno! Thank you for your post. I enjoyed your photos and your positive attitude. I think you did our favorite town just right. Now, THAT'S a Trip Report! I love the photos and the variety. I also fly Horizon out of SeaTacky and love those prop planes! I always end up in aisle 9, directly in front of the prop. Well, at least my death will be quick. My next trip scheduled is in March for MM. From Portland it's SW for direct flight to Vegas. Posted: Oct Thu 22, 2015 11:13 pm Post subject: Great report - Thanks! Loved your trip report. 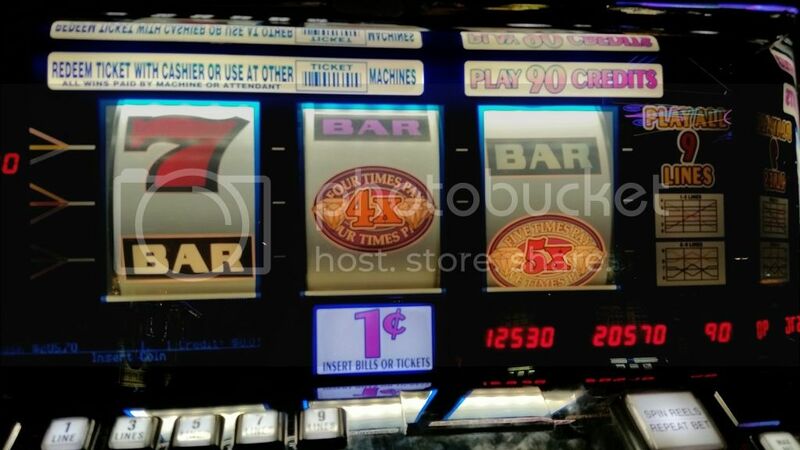 Sorry the slots didn't live up to your expectations, but as you say, you kept the lights on. Thanks for the pics inside the Cal Neva. That Cal Neva Melons and Locomotives is a truly classic slot! I always miss that place the moment I step out of it. My wife and I also flew down via the Q-400 prop planes from Bellingham, then Sea Tac and on the Reno. That was a year and a half ago. (We need to get back soon). You do a great job with trip reports. The pictures were great. It sure looks like that slot hit of nothing but wilds would be a " Never have to work again" type hit, but it was not. Thanks for taking time writing out the report. 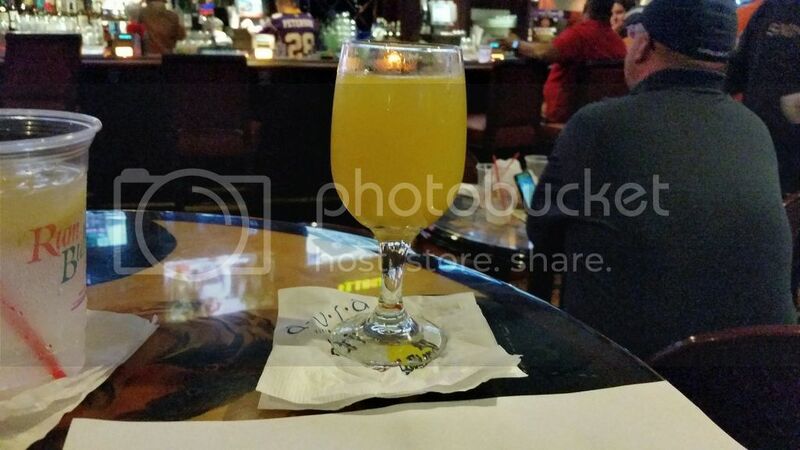 Posted: Oct Mon 26, 2015 8:09 am Post subject: I dub this trip report "Stan-tastic"! Great stuff! 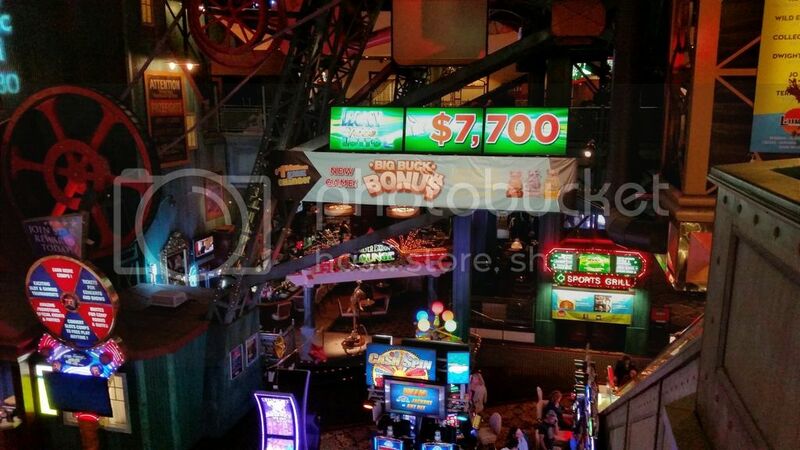 Gorgeous photos, and all our favorite activities: food, drinks, sightseeing, and gaming galore - sorry the slots didn't treat you better, but that must mean you're primed for a better result next time, right? Thanks for the nice comments everyone! That really makes it all worth it. I can't tell you how close I came to giving up on this trip report. It took me hours to put it together. I had problems with trying to get the photos from Shutterfly which is where I've had all my vacation photo albums for years. When I did the img tag for some reason the photos would only show up as thumbnail size. I tried numerous times to get them large size but it didn't work. So then I went to Photobucket and registered there and had to re-upload all my photos. The img tag from there worked! Yay! Thanks again. I will continue to post trip reports with photos since I know others are getting enjoyment out of them. Thanks for all your hard work on your excellent trip report. Any time you have a problem with posting, please let your moderator, BC Dave or me know and we will find a solution. You should probably ask Dave first because he hasn't been earning his huge paycheck lately. Thanks again for your contribution. I didn't realize Reno was that much fun. 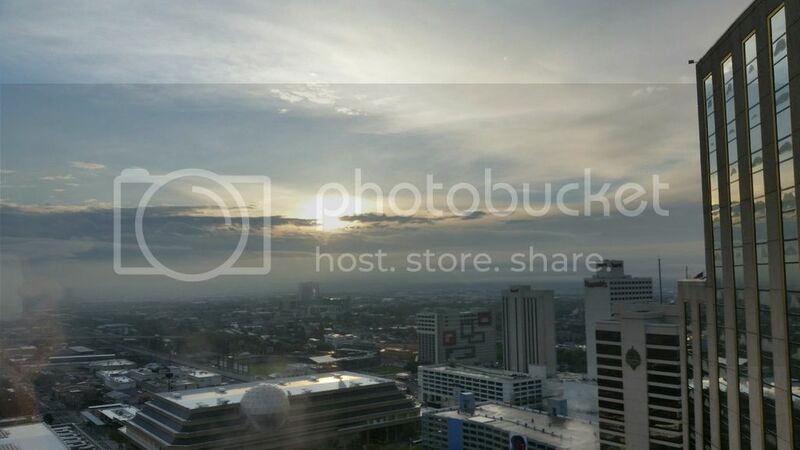 Posted: Oct Fri 30, 2015 10:07 am Post subject: Photobucket Rools! John recommended Photobucket back when I first started including pictures in my trip reports. They have changed their interface a few times and I have found that somewhat frustrating, but deal-with-able. There is a fair bit of work involved in posting pics - sorting them, resizing them, uploading, finding the image code, etc. 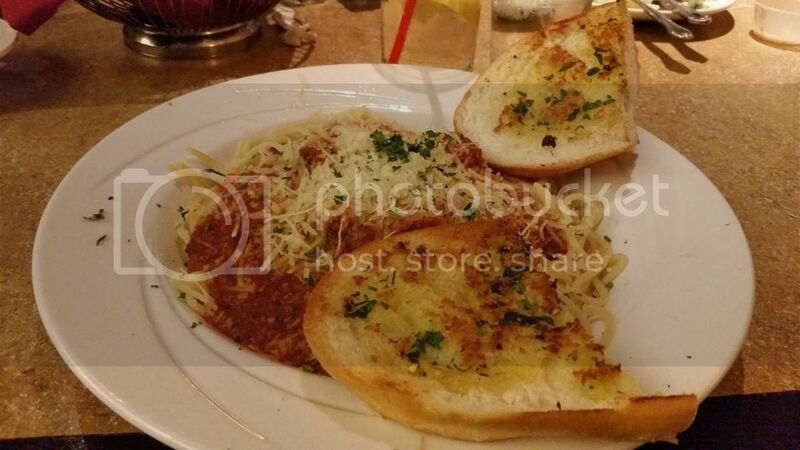 But overall, I have to give Photobucket two thumbs up, especially for reliability. The first photo was of the National Bowling Stadium... ahhhhhh. 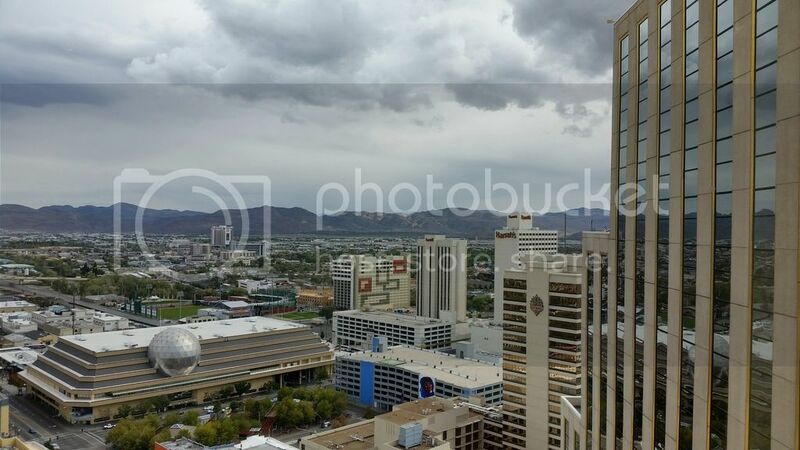 I will likely be back to Reno the first week in July, with the expectation of going to South Lake Tahoe for fireworks on the 4th. I recently had surgery for my a torn patella tendon in my left knee, so my bowling season is over (it actually ended on August 31). Luckily the national bowling tournament goes until mid-July and my doctor feels that I should be fine by then. 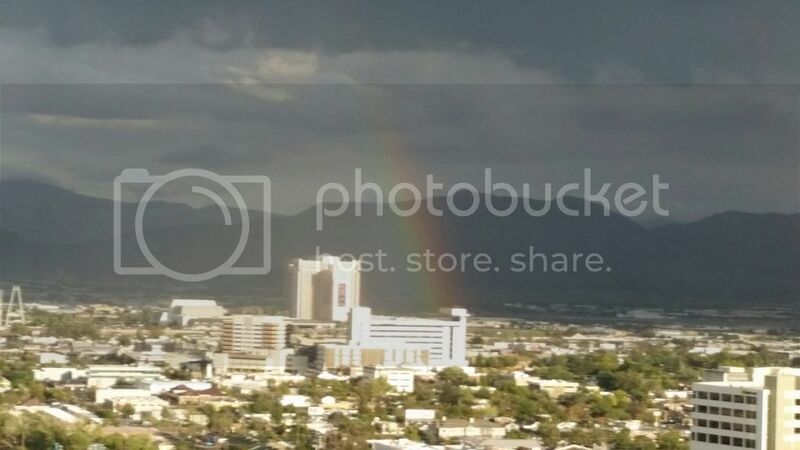 We were talking about the National Bowling Stadium when we were in Reno last month. We were wondering if the general public can go in and just watch tournaments? Does it cost anything to just go in and watch if you are not participating in anything in particular? I think I would enjoy going there. I used to watch some PBA on television, I had a crush on Brian Voss many years ago! I've got a man-crush on him, too. The NBS is NOT open to the public to bowl (since public funds were used, there was a big issue about it competing with local bowling centers, so that was part of the agreement signed in the early-90s). However, if there is any tournament going on, it is open to the public for viewing. You'd have to check the NBS thread for schedule of tournaments. I know there is a mixed-doubles tournament that was held on weekends in Sept and Oct, and the World Series of Bowling will be held there in early-Dec (there may be a charge to watch the professionals, not sure). The men's national tournament runs all hours of the day and night from early-March through mid-July. I've bowled there about a dozen times now, and when the men's (and women's) tournament is there, there is lots to see and do... a mini-Hall of Fame display, multiple gift shops, and a one-lane installation for bowling lessons.